Catching up the the bills that passed the House of Representatives in February, this episode details a bill designed to keep campaign donors secret, a bill to make all regulations more difficult to enact, a bill that makes unlocking your cell phone legal, a bill that prohibits states from seizing your land for another private interest’s gain, a bill that sets up the defunding of the Consumer Financial Protection Bureau… and more. Advertisements and/or information provided by the government on radio, TV, internet, and through the mail need to clearly state that it is paid for and distributed “at taxpayer expense”. Would prohibit the Treasury Department from changing the rules that allow social welfare groups to claim tax exempt status. Makes every Federal agency submit monthly reports on the status of every rule they are working on. Rules can’t go into effect until they have been published on the Internet for at least 6 months. Exemption for national security, emergencies, or implementing international trade agreements. Agencies must do a cost-benefit analysis of the proposed rules and all alternatives. There must be a 60 day mandatory comment period (120 days for a major rule – which they changed the definition of to basically mean any rule that costs companies money). There will be no judicial review allowed of an agency’s decision to withdraw a proposed rule. The agencies must adopt the “least costly rule considered”. None of these new procedures will apply to monetary policies made by the Federal Reserve. Rule makers must list alternatives that cost businesses the least or benefit “small businesses” the most financially. Every rule needs to be reviewed every 10 years. Changes the rules for suing the government in regards to their rule making decisions. A State that uses it’s power of eminent domain to seize a person’s private property for “economic development” will be barred from receiving Federal economic development funds for two years after a court rules that the State took the property for this purpose. States can get Federal money is they return the land. SF Gate: Richmond mortgage eminent domain battle expanding, December 9, 2013. NY Times: Richmond, CA a long shot against blight, January 12, 2014. “Dozens of communities across the country are considering a vulture fund- developed investment scheme by which the municipality’s eminent domain power is used to acquire underwater— but otherwise performing—mortgage loans held by private-label mortgage- backed securities and then refinance those loans through programs administered by the Federal Housing Administration (FHA). Our housing finance system depends on private capital to take risk, make loans, purchase mortgage-backed securities, and help millions of Americans fulfill the dream of homeownership. What this eminent domain scheme considers would be incredibly destructive to the finance of homeownership and would do little more than help a few homeowners who can already afford their mortgage and line the pockets of the investors who developed this proposal. Who would invest in a mortgage knowing that their investment could be stolen just a few months or years later? Ironically, this new risk to the housing finance system would freeze the return of private capital to our markets at a time when many in Congress are looking for ways to increase the role of the private sector and decrease the federal government’s footprint. Using eminent domain in this manner will hurt Main Street investors the most. Those investors and pensioners may be invested in mortgages sitting in communities considering this plan— like Richmond, California—and not even know it. They are the ones who will suffer the most from this particular form of eminent domain. Instead of making FOIA information available for copying, it makes the information “available in an electronic, publicly accessible format”. Gives the government one year to set up a website, “accessible by the public at no cost to access” that allows us to submit information requests, receive status updates on our requests and file appeals. Creates a pilot program to test the efficiency of using a single website for FOIA requests. One place that will handle requests for at least 3 different agencies. Authorizes no additional money to create the website. Allows people to unlock their cell phones. Prohibits cells phones from being unlocked in bulk. Los Angeles Times: The House’s cellphone unlocking bill: Thanks but no thanks. February 25, 2014. 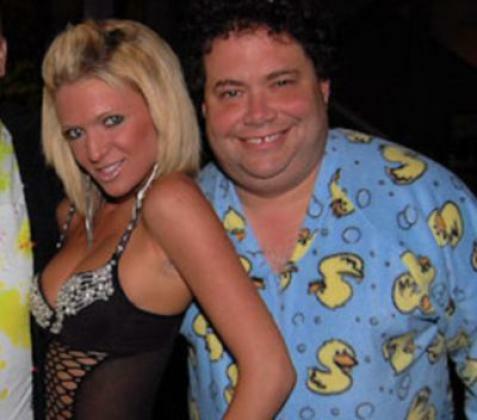 Yup, that guy is a Congressman. The bill takes the authority to police financial products and services away from the Consumer Financial Protection Bureau and gives that authority to a new five member commission. Four of the members the new commission will be picked by the President and the fifth will be the Vice Chairman for Supervision of the Federal Reserve. Forces the Financial Stability Oversight Board to stop Consumer Financial Protection Bureau regulations under certain conditions; right now, the board is authorized to do so at their discretion. The Federal Reserve Chairman has a seat on this 5 member board too. Gives the Financial Stability Oversight Board an unlimited amount of time to kill Consumer Financial Protection Bureau regulations. Forces the Consumer Financial Protection Bureau to consider harm to the “financial soundness” of banks when it makes rules. Allows other agencies to create and change consumer protection laws. Funds the Consumer Financial Protection Bureau via Congress instead of the Federal Reserve. Rep. Sean Duffy was on The Real World: Boston.